Download this Micro pack to try out the Autum Charm Clipart Collections. We have included a layered PSD card design. 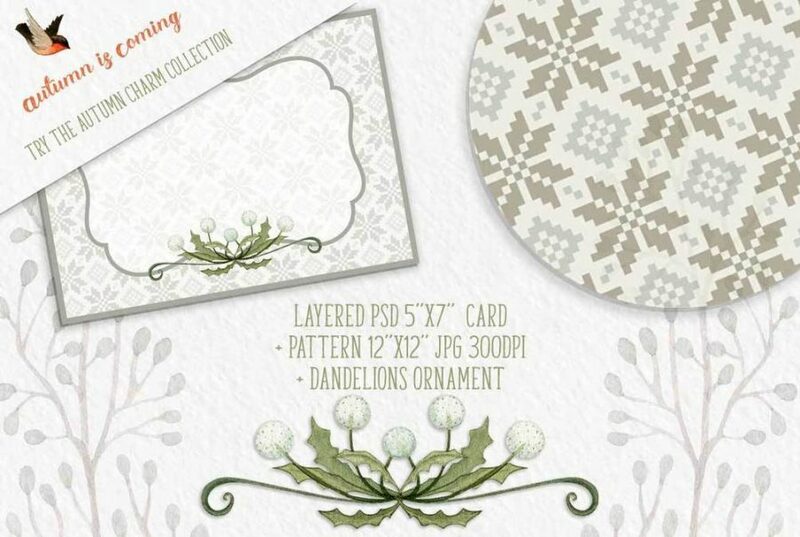 The pattern and dandelion ornament used for the card are included in full size. All files are 300dpi. Checkout the collections: the Bear, the Hedgehog and the Fox, with more than 220 elements, patterns, borders and pre-made designs.